Each year, North West Leicestershire District Council gives people that seaside feeling without having to travel! This year the free family fun day took place on Friday 19 August. 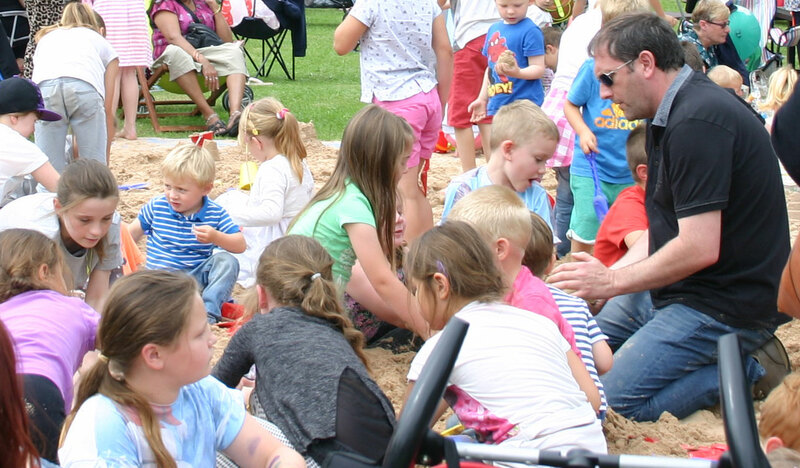 There were Punch n Judy shows, arts and crafts, music from Hermitage FM and of course plenty of sand for everyone to enjoy. And the weather was not atypical from a trip to the coast as we enjoyed some good British rain too! But that didn’t stop the fun and we look forward to another trip to the seaside in 2017. Check out some pictures from our 2015 Coalville by the Sea.